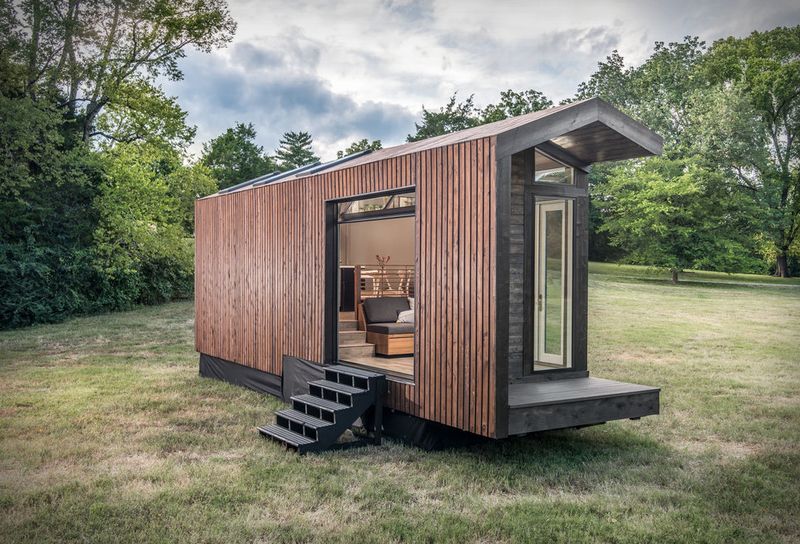 Over the years we have seen plenty of unique tiny homes, but no one does it better than Nashville-based New Frontier Tiny Homes. 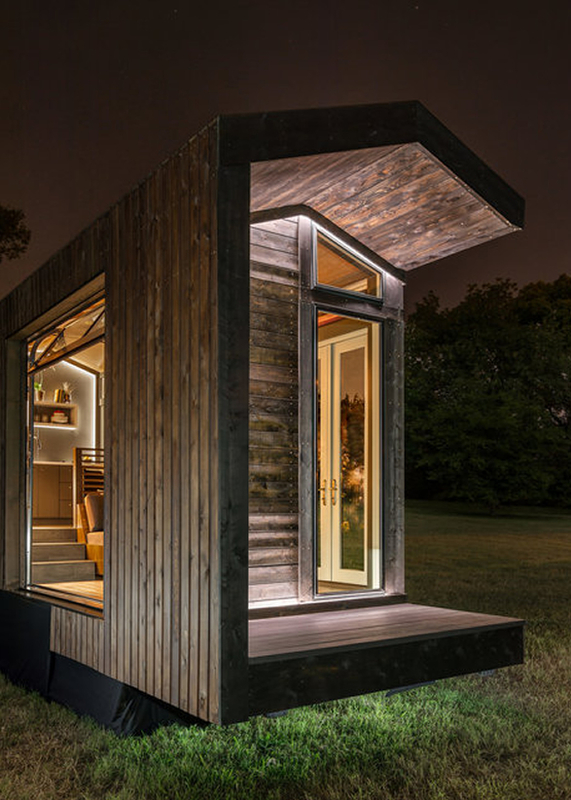 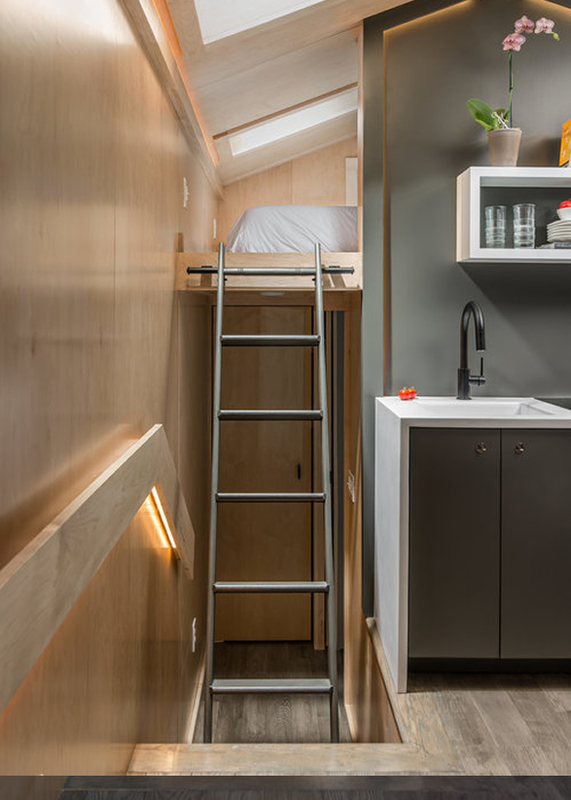 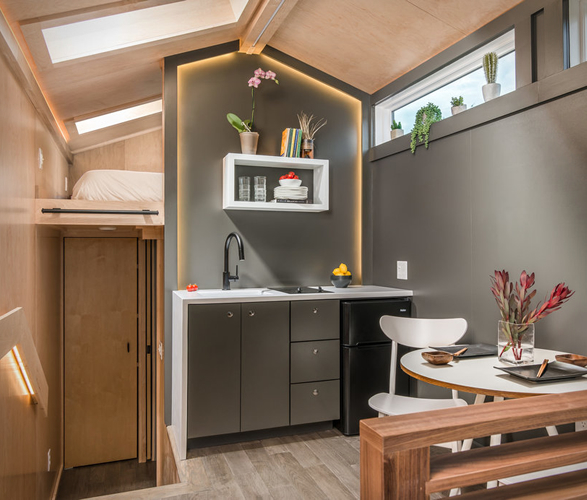 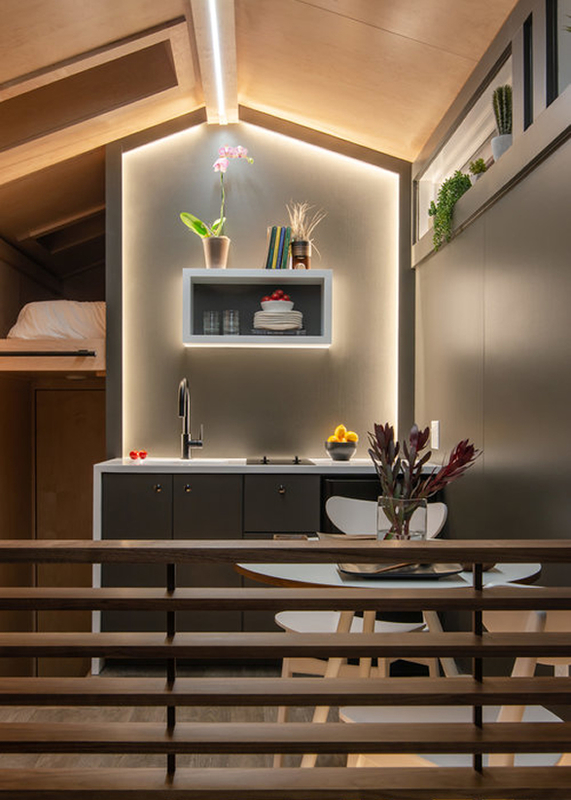 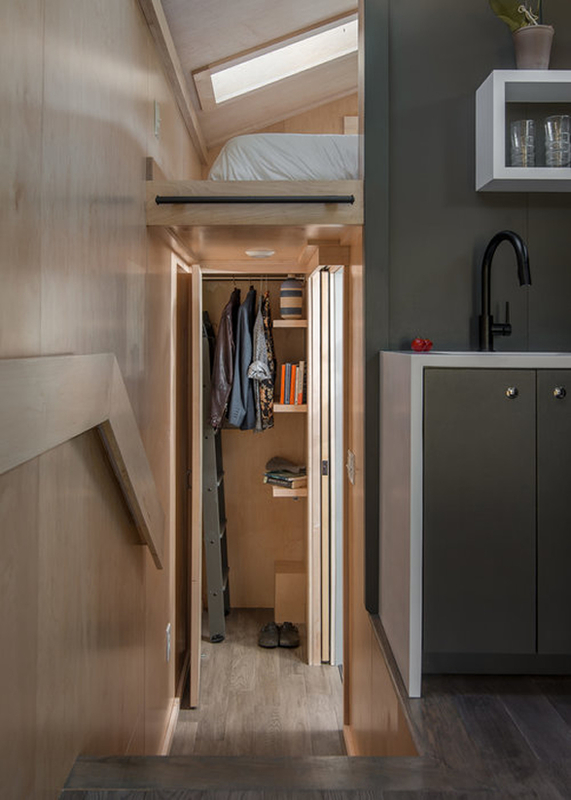 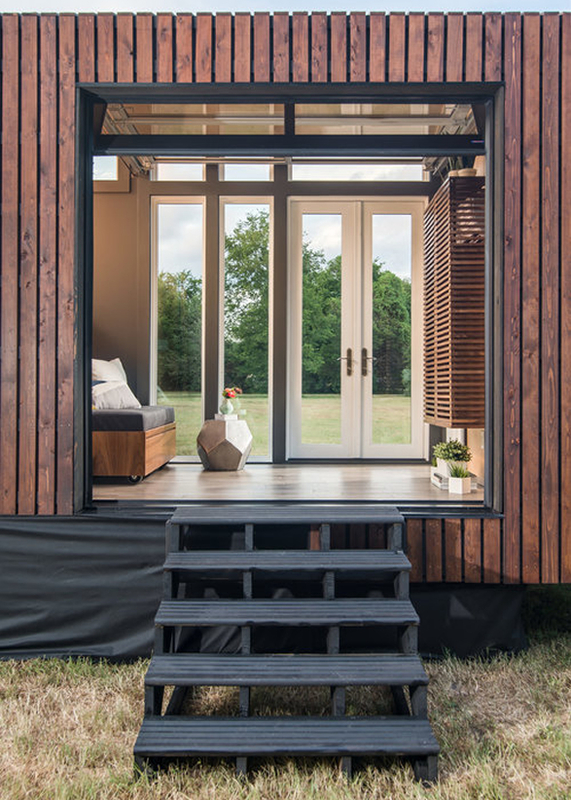 They have now presented their latest offering, the stunning Orchid Tiny House, offering a stunning design with a mobile approach and unique attention to detail. 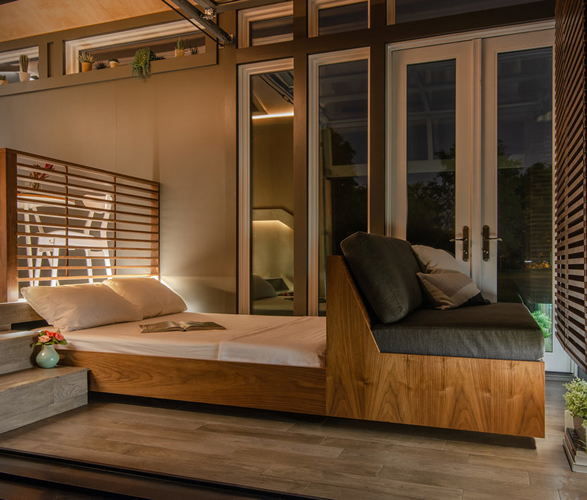 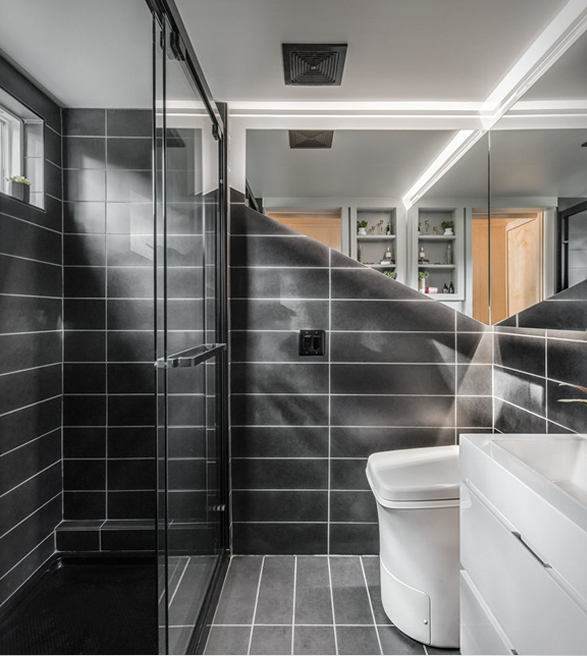 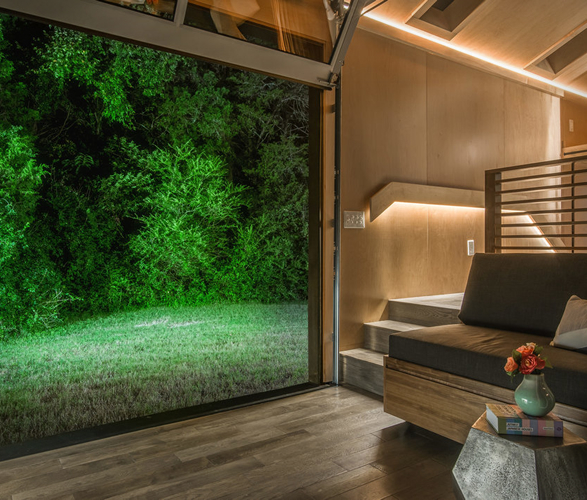 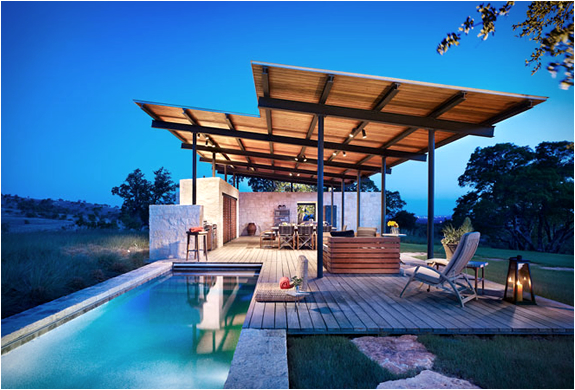 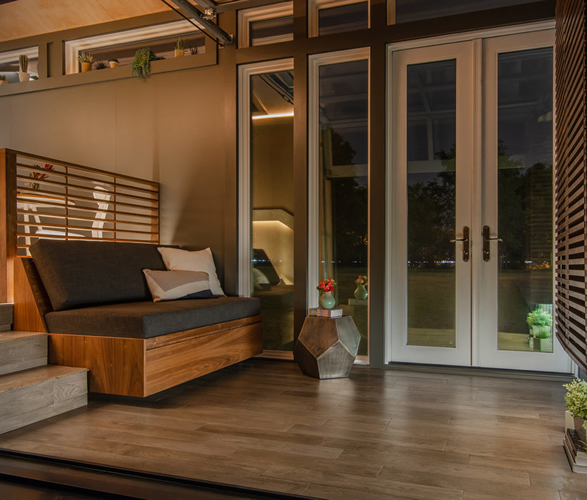 The sleek, small structure features a gorgeous maple plywood interior compromised of a lofted king-sized bedroom, an extra hide-away bed, an elevated kitchenette, a custom tiled bathroom, and a garage door that exposes the entire interior of the house. 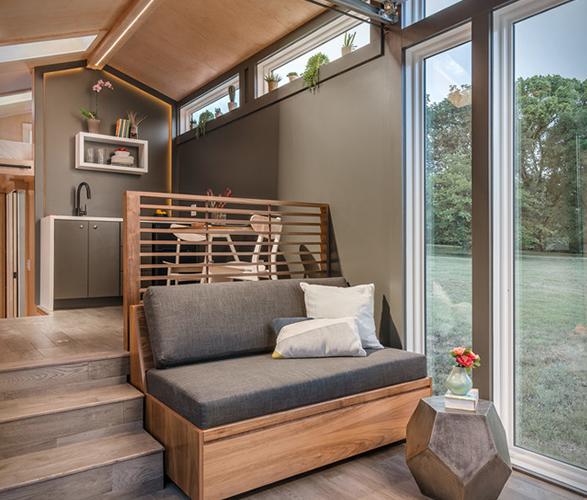 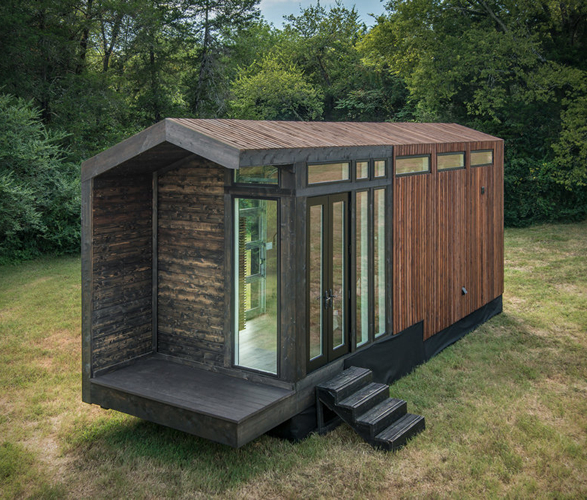 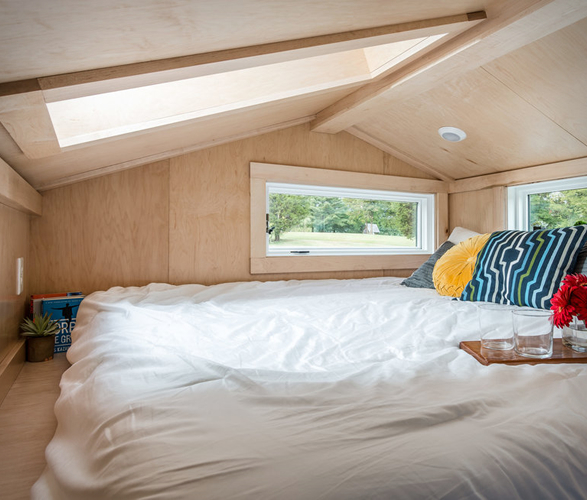 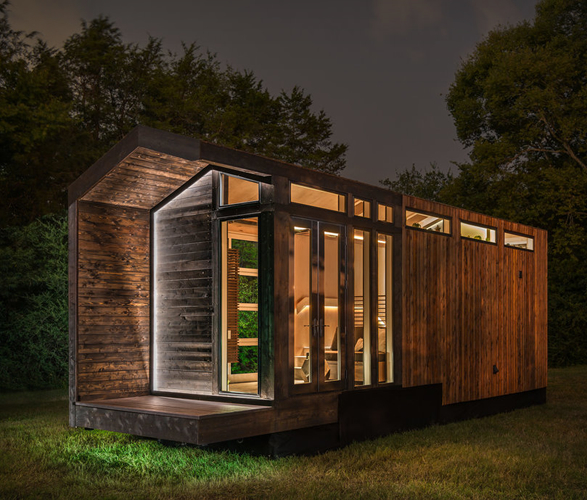 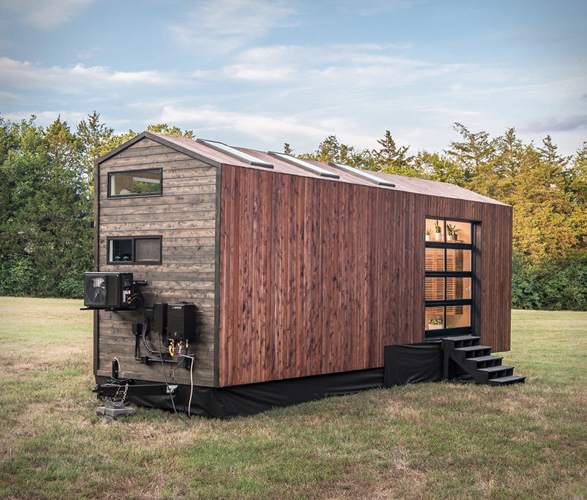 The beautiful gable farmhouse tiny home also features a gorgeous exterior in cedar siding that is spaced out to provide the impression of floating woodwork.